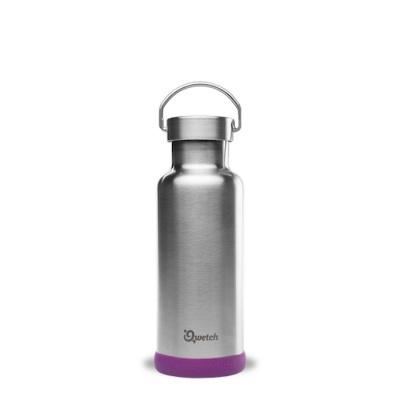 A plastic free insulated steel bottle. Designed to keep drinks warm for up to 12 hours and cold up to 24 hours. 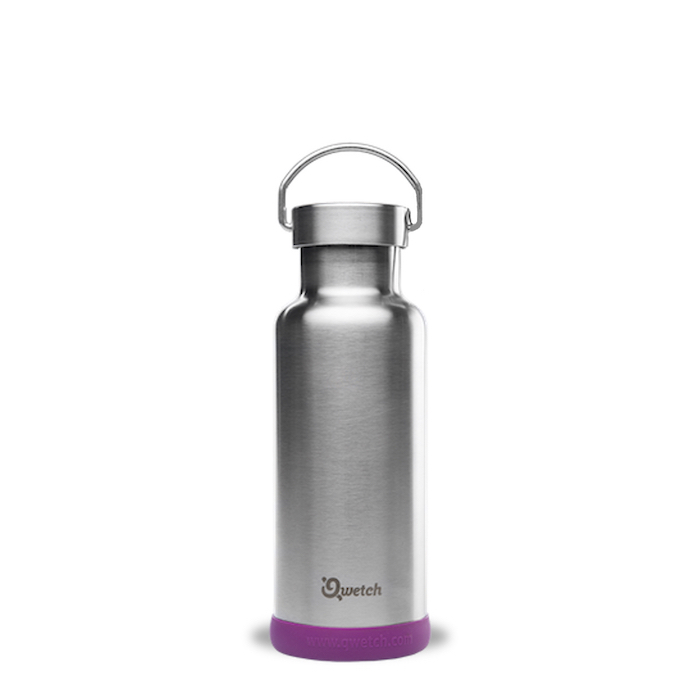 With a leak-proof lid and a removable silicone ring at the bottom of the bottle. 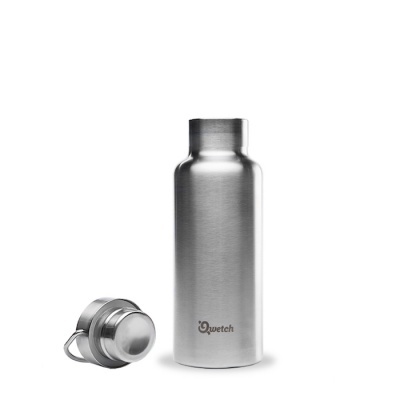 This 500ml insulated stainless steel bottle in brushed steel is designed to keep drinks warm for up to 12 hours and cold up to 24 hours. It is constructed from two layers of unlined 18/8 (304) food grade stainless steel and has a leak resistant stainless steel lid with silicone ring. The bottom of the bottle also has a removable silicone ring which is designed to help protect surfaces and the bottle from scratching. Approximately 20.5cm high x 7cm diameter.